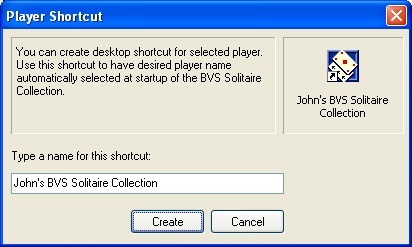 BVS Solitaire Collection: Desktop shortcut for selected player. "Game | Select Solitaire | Edit Player List | Shortcut" button: You can create desktop shortcut for selected player. Use this shortcut to have desired player name automatically selected at startup of the BVS Solitaire Collection. 1. Click	 icon in the Game | Select Solitaire dialog to display the Edit Player List dialog. 3. 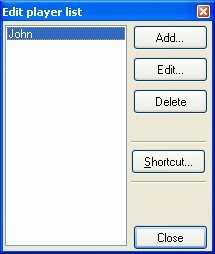 Enter a name for this shortcut as it has to be displayed on your desktop.